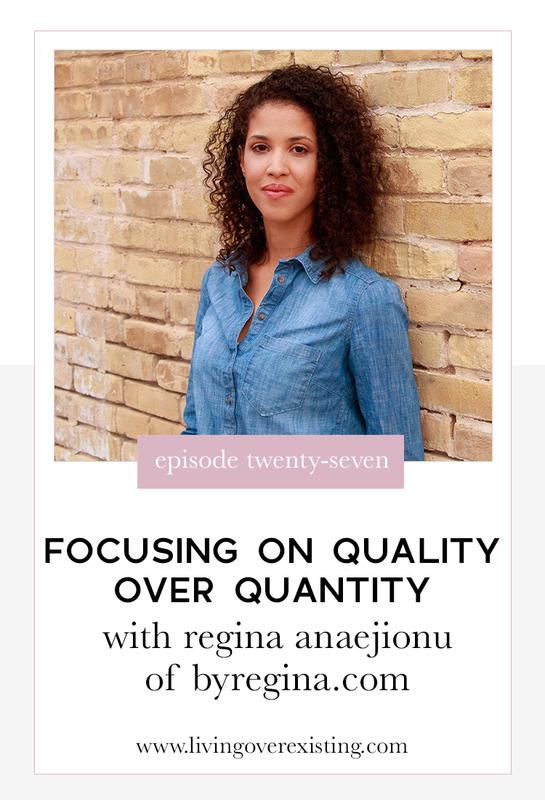 I am so extremely excited for this week's episode because I have a chance to chat with my mentor in my head Regina Anaejionu of ByRegina.com! I have followed and learned from Regina’s business wisdom over the past few years and am so excited to have her on the show this week to dig deeper into her story! In this episode we chat about where her love of entrepreneurship, the many businesses she ran before dedicating her personal brand to helping other business owners, the incredible community she has built and why we should be focusing on quality over quantity when it comes to our content! The lack of focus and you trying to sell 17 different things means that you don't sell one of them well. Every Sunday we send out one tip, one article and one interview that will help you have the best week ever! You'll also receive updates on what's happening behind the scenes! Whoop Whoop! We'll see you on Sunday!